In the sad, sudden passing of Komla Dumor, the world has lost a true African son. Unique in his reporting style, Komla embodied the African story. He died of a suspected heart attack in his London home at the age of 41. He leaves behind three children and a wife to mourn him. Our condolences go out to them and all those that knew and loved Komla. Besides being the host of Focus on Africa, he was a man of many accomplishments. .One of his earliest achievements was winning the Ghana Journalist of the Year award in 2003. In November 2013 he was named by The New African Magazine as one of the 100 most influential Africans. Unlike many journalists of this generation, he always ached to find out the reason why something was happening, instead of merely reporting a story. He strived to look at the story from a 360 degree view, ensuring every angle was covered, guaranteeing that every voice was heard. In February 2013 he was invited to speak at the prestigious TED Talks, about telling the African Story. Besides all of his natural born talents, he had an impressive education record. He had a BSC in Psychology and Sociology from the University of Ghana and a MA in Public Administration from Harvard University. Komla Dumor also managed to interview very highly respected news makers around the world. The long list includes Kofi Annan, Bill Gates and Chimamanda Ngozi Adichie. In addition to these remarkable interviews he was responsible for the BBC coverage of the 2010 world cup in South Africa, President Obama’s visit to Africa, and lastly the funeral of Nelson Mandela. Komla Dumor was the voice of many Africans all over the world. I personally became a bit more intrigued when I would see him reporting on an African story. He inspired me to go looking for more. 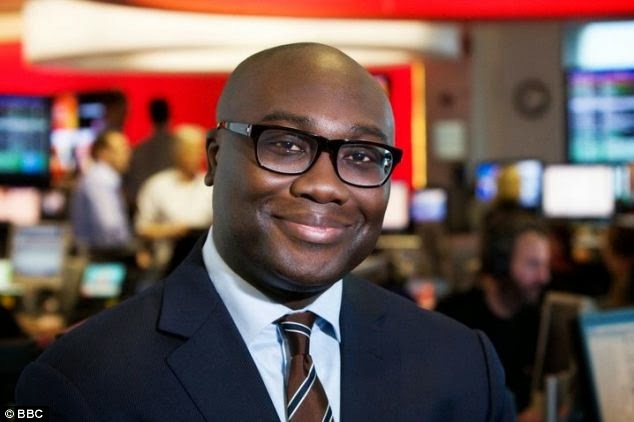 The BBC’s Global news director, Peter Horrocks, spoke fondly of him saying that he was “a leading light of African journalism…” Other tributes come from the President of Ghana, who said that “the country had lost one of its finest ambassadors.” We will forever mourn Komla Dumor as we will forever cherish his contribution to African journalism.